When you think of a wedding, what are the first 3 things that come to mind – bridal lehenga, stunning makeup and of course bridal mehndi for the bride. In fact, application of mehndi is a custom during any celebration in India, be it Karva Chauth, Teej, Diwali, Ramzan or any other festival. Did you know that mehndi is a very powerful medicinal herb? All of us know that weddings are stressful, and often, the stress can leave you with a splitting headache. The excitement filled with mixed emotions can take its toll on the bride and groom as the wedding day approaches. 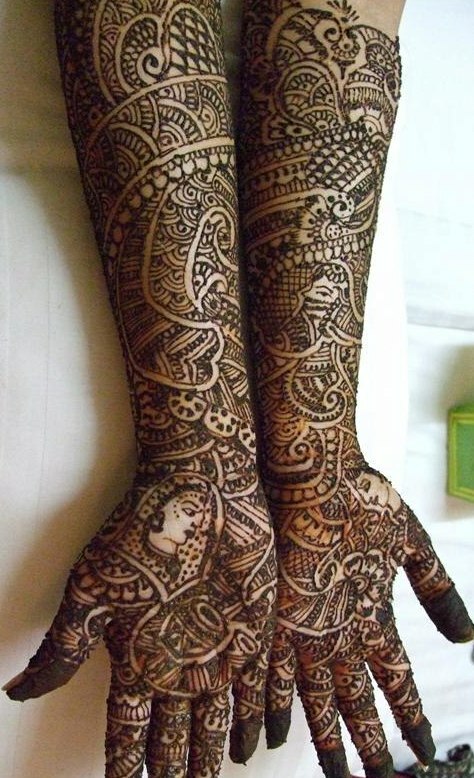 Mehndi can prevent too much stress as it cools the body down and keeps the nerves from becoming tense. 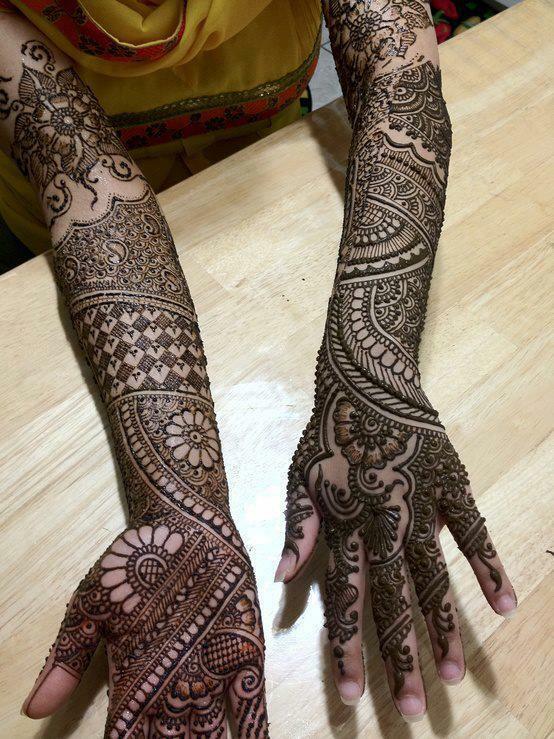 So what are the ingredients that go into making the mehndi dark and filled with fragrance? There’s eucalyptus oil, a bit of clove oil and a few drops of lemon. In India, the sangeet ceremony generally consists of mehndi and a lot of dancing! While the mehndi is applied, other members of the family play the traditional dhol (or the DJ plays his remixes) and dance to its beats. Every female member of family gets mehndi done on her hands. This tradition has been going on since years! If something has changed about the ceremony, it is the designs and patterns. While only intricate bridal designs were traditionally applied in the past, brides today are experimenting with Arabic and Indo-Arabic designs, semi precious stones are also embedded in the design. Did you know that it is traditional to write the name of the groom on the bride’s palm? Once all the festivities are over, the groom is made to search for his name, which is usually tough to find as the letters are all scattered! What fun :-p Note that these designs are not created by me, but simply curated by me. Where the original artist’s watermark was present, it has not been tampered with. Choose the one that you love the most, and try it out! Don’t forget to comment below on which one you like the most. Good luck.